100pcs 5x20mm Quick Blow Glass Tube Fuse Assorted Kit Amp 0.2A 0.5A 1A 2A 3A 5A 8A 10A 15A 20A 250V. 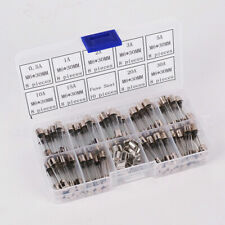 Included: 1 100pcs 5x20mm Quick Blow Glass Tube Fuse Assorted Kit Amp 0.2A 0.5A 1A 2A 3A 5A 8A 10A 15A 20A 250V. Screw-Cap Fuseholder 15A 125VAC AGC/3AG/MDL. 15A 125VAC. Holder accepts 3AG (AGC) or MDL fuses (1/4"X1-1/4"). High quality screw-cap fuse holder. Very often there is more than one part available per application as auto makers often switch midyear. Ideal for battery and alternator connections and other heavy gauge cables requiring ultra high current protection. Includes protective cover. 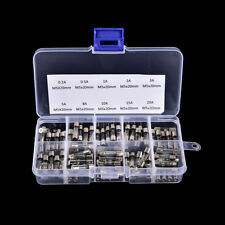 Includes M8 threaded studs and hex nuts with lock washers. 120 pcs ATO / APR / ATC Car, Truck, Suv, RV, ATV,UTV, Boat, Motorcycle etc. 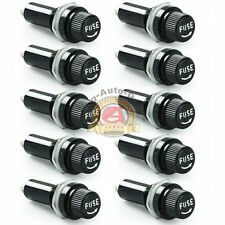 Auto Blade Fuse Kit Set. The Most Complete ATC Fuse Set 1A, 2A, 3A, 5A, 10A, 15A, 20A, 25A, 30A, 35A & 40AMP. Fuses should be sized & located to protect the wire they are connected to. Blue Seas 12 position fuse block with cover. This version also includes the ground bus. Accepts ATO and ATC fast acting blade fuses (fuses not included). Maximum Amperage Per Circuit 30 Amperes. Maximum Amperage per Block 100 Amperes. Designed with 5 x 20mm glass tube, 15A breaking current. A type of low resistance resistor that acts as a sacrificial device to provide overcurrent protection, of either the load or source circuit. High Quality Glass Fuse. SF214E SEFUSE NEC Thermal Fuse 216°C Degree 10A 250V. Commonly used in Coffee Makers, Rice Cookers, Chi Styling Irons, Air conditioners, Instapot, Instant Pot,etc. Includes installation notes and cautions. SF152E SEFUSE NEC Thermal Fuse157°C 10A 250V. Commonly used in Coffee Makers, Rice Cookers, Chi Styling Irons, Air conditioners, Instapot, Instant Pot,etc. Includes installation notes and cautions. SF240E SEFUSE NEC Thermal Fuse 240°C 10A 250V. Commonly used in Coffee Makers, Rice Cookers, Chi Styling Irons, Air conditioners, Instapot, Instant Pot,etc. SF139E SEFUSE NEC Thermal Fuse142°C Degree 10A 250V. Commonly used in Coffee Makers, Rice Cookers, Chi Styling Irons, Air conditioners, Instapot, Instant Pot,etc. Includes installation notes and cautions. 200 Pcs 4A Glass Axial Fuse Fast Pop 250V DIY PowerWall Portable Recycled Power. Fuse Type: Fast Blow Fuse. Type: Glass Fuses Tube. Glass Tube Size: 2.75-3mm 10mm. A professional before replacing the fuses. If you continue to replace the fuses, it can. - 9 Types of Glass Fuses: 0.5A, 1A, 2A, 3A, 5A, 10A, 15A, 20A, 30A. - 1set x 72pcs Electrical Glass Tube Fuse (with 10pcs Fuse Holder). 1PC- FUSE PULLER. 20PC- 15AMP BLUE. 10PC-7.5AMP BROWN. 5 Fuse Minimum. Current Limiting. New No Box (unless you buy 10). If your log in attempts are unsuccessful you'll be automatically redirected to a secure page where you can enter your credit card information. 1pc- Fuse Puller. 120Pcs Mini Fuses sizes 1amp-35amp. 10pc- 7.5amp Brown. 10pc- 35amp Purple. 15pc- 30amp Green. 15pc- 25amp Transparent. 15pc- 20amp Yellow. Designed with 5 x 20mm glass tube, 10A 10 Amp breaking current. A type of low resistance resistor that acts as a sacrificial device to provide overcurrent protection, of either the load or source circuit. SF169E SEFUSE NEC Thermal Fuse 172°C Degree 10A 250V. Commonly used in Coffee Makers, Rice Cookers, Chi Styling Irons, Air conditioners, Instapot, Instant Pot,etc. Includes installation notes and cautions. If you need these faster?. st class I can not be responsible for how long it takes to get to you. USA SELLER! Fast shipping. 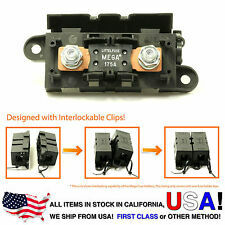 Model:T1AL250V Current:1A Voltage:250V Material:GLASS Dimension:5 mm (3/16 in) x 20 mm (3/4 in) Slow-Blow (Time-Delay Fuses) Payment&Shipping _Shipping is FREE _We accept payment via paypal. _Most shipments are sent by usps first class mail & USUALLY take 2-9 business days for delivery. Alaska, Hawaii, Puerto Rico, APO & FPO could take longer. 10 Gauge AGC In-Line Fuse Holder with 100% OFC Copper Wire Cable. AGC heavy-duty inline fuse holder features a black lite body construction that holds one. 100% OFC copper. AGC glass fuse. The holder's heavy-duty construction makes it ideal for all applications. UP FOR SALE IS1 EACH MICROTEMP ® SYEBBE G4A01 121C TF THERMAL CUTOFF FUSE. Suitable For M205 5x20mm Fuses. Panel Mount Fuse Holder. No hassle No worries. MAXI / APX Fuse. 24 pcs MAXI Car, Truck, Suv, RV, ATV, Boat, Motorcycle, Auto Blade Fuse Kit Set. The Most Complete MAXI Fuse Set on the Market. 24 pc assorted MAXI Blade Fuses. Fuses should be sized & located to protect the wire they are connected to. Alaska, Hawaii, Puerto Rico, APO & FPO could take longer. 20A 250V Ceramic Fast Blow Fuse. Set of 5 pcs. USA SELLER! Fast shipping. Model:T4AL250V Current:4A Voltage:250V Material:GLASS Dimension:6x30mm( 1/4" x 1-1/4" ) Slow-Blow (Time-Delay Fuses) Payment&Shipping _Shipping is FREE _We accept payment via paypal. _Most shipments are sent by usps first class mail & USUALLY take 2-9 business days for delivery. Alaska, Hawaii, Puerto Rico, APO & FPO could take longer. Used specifically for microwave ovens. Maximum 250 volts. Housewares And Gifts. Paint And Paint Supplies. Helpful Links. Ceramic tube. 2 per card. Plumbing Supplies And Fixtures. Cross-Reference: MDA15, MDA15A, MDA-15A, BK-MDA 15 R, MDA 15R, BKMDA15R, BK MDA15. Volts: 250v. Blowing Characteristics: Slow Blow. Material: Ceramic. Max Overall Length (MOL): 1-1/4 in (30 mm). Do not buy if you do not agree. We do NOT provide technical support, installation instructions, or manuals. 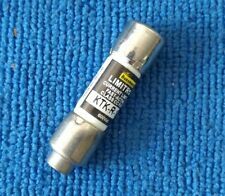 This FUSE is 440mA, 1000V, FAST ACTING. This unit fits models: 23-III, 25, 26-III, 27, 77-III, 79-III, 83, 83-III, 85, 85-III, 87(S/N over 65650001), 87-III, 87E-III, 87-IV, 87-V, 88-V, 89-IV, 175, 177, 179, 187, 189, 863, 865, 867, 867B. Fuse MDL 20A 250V Slow-Blow Glass Fuse 20 Amp. Box (5 Pk ) Genuine Ferraz Shawmut TRS90R Fuses 600V AC 90 Amp Fuse Industrial Trionic. Condition is New. Covers almost every Car Model on the Market. 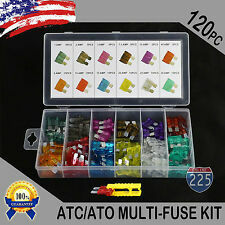 165 pc assorted ATC / MINI / Low Profile Mini Blade Fuses with Fuse Puller. 165 pcs ATC / MINI / Low Profile Mini. ATC / APR Fuse. Each fuse is printed with rated current in amperes on the top. 10A 125/250V. Ceramic Fast-Blow Fuse. FREE Trial! 9 Types of Glass Fuses: 0.2A, 0.5A, 1A, 2A, 3A, 5A, 8A, 10A, 15A, 20A. burning of the circuit may also cause a fire. If the circuit fuse correctly placed, then the fuse will. be in the current exception is raised to a certain height and heat when its fuse cut off the. 10 x Panel Mount Screw Cap Fuse Holder Case for Glass Tube Fuses 1/4x1.25"
Holder accepts 3AG (AGC) or MDL fuses (1/4"X1-1/4"). High quality screw-cap fuse holder. 39 PIECES OF ATC/ATO STANDARD BLADE FUSES (3 OF EACH). 39 x ATC/ATO Blade Fuse s. 40 amp Orange. 15 amp Blue. 20 amp Yellow. 25 amp Clear. 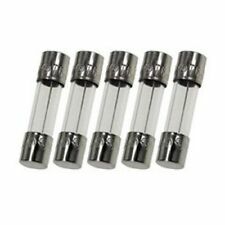 5x GMA 4A 125v Fast Blow GLASS Fuse (4A), 5x20mm. 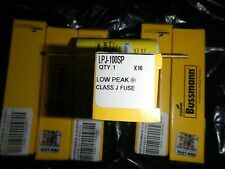 GLASS Fuses, 4A 250V. Fuse Holders (23). Thermal & Pico Fuses (30). Circuit Breakers (81). Glass Fuses (850). TV/Monitor Repair Kits. High Quality Electronic Parts. For sale is a box of 6 ABB Fuses. See photos for specific electric data. 56 boxes of 6 available.